This 10th Anniversary production by Manly Musical Society boasts a creative team including Rodney Herbert (Director), Sarah Freidrich (Choreographer) and Anthony Cutrupi (Musical Director). Playing the iconic role of Jean Val Jean is James Hurley while Joshua Rogers will play Valjean’s lifelong antagonist Javert. The role of Fantine will be performed by Keira Connelly while the hilarious yet villainous roles of Monsieur and Madame Thernadier will be played by Garth Saville and Sally Redman. Liz Cornwall will play Eponine with Isabelle Kahout as Cosette. Playing Enjolras, the passionate student leader of the revolution is Reece Lyndon with Sam Hamilton playing the love-struck revolutionary Marius. The child role of Gavroche is being shared by Luke Antcliffe and Harrison James. Little Cossette will be jointly performed by Charlotte Blenkhorn and Amelie Rose while the role of Young Eponine will be played by Vanessa Jackson, Jaime Antcliffe and Emily May. Completing the cast of 50 performers are Neville Bereyne, Raelene Buecker, Dylan Carlin, Boronia Clark, Matthew Francis, Cassandra Gorman, Kiran Gupta, Ruby Hawken, Christine Heard, Luke Holland, Vanessa Hutinec, Oliver Inwood, Sean Langbridge, Ana Lawford, Lucy Mills, Jade Montalvo, Mateo Morchio, Joseph Nalty, Michael Norris, Chris O'Shea, Gabby Robinson, Jonah Samuel, Dani Siller, Sidonie Spring-Winer, Bill Sunderland, Thomas Vershuer, Vanessa Vumbaca, Guy Webster, Nick Whiley and Tim Wotherspoon. President of Manly Musical Society, Matilda Dwyer, says "We are extremely grateful for the opportunity to bring such an impactful theatrical experience to audiences for our 10th Anniversary Production and were overwhelmed with the level of interest and support in the production. The breadth, diversity and talent of our cast and production team is coming together to produce something truly great." 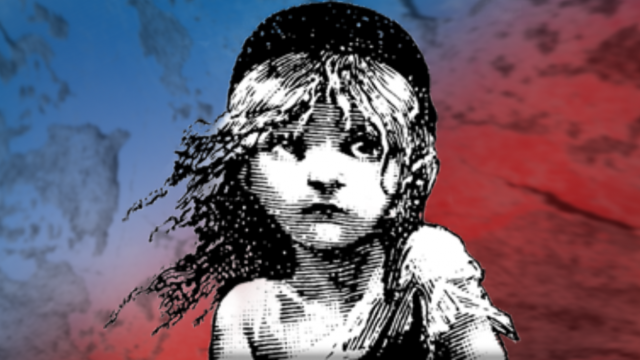 The score features songs including “I Dreamed A Dream”, “On My Own”, “Stars", “Bring Him Home”, “One Day More”, “Do You Hear the People Sing” and many more. This epic and uplifting story has become one of the most celebrated musicals in theatrical history. Along movie version, it has now been seen by more than 130 million people in 44 countries and in 22 languages around the globe since it first premiered in London in 1985.